Since 105 AD paper has played a roll in communications. Once writing skills were developed there was a need for a surface that was easy to write on and paper was invented. Paper manufacturing spread though India, the Middle East and eventually to Europe, and along with that communication and knowledge grew. Today Communication is almost an art form. More and more people are connected via digital platforms and reachable over mobile devices. Marketers are set with the difficult task of deciphering the best ways to connect with their target audience in a complicated communications landscape and a cross channel marketing approach is often implemented. Once again paper comes to the forefront and often plays a vital role in cross channel marketing. "Video may have killed the radio star, but the same can't be said for digital in its evolutionary tangle with paper-based marketing communications. While digital was primed to pulverize print, it may have actually made paper more powerful in part by making it more precious." Technology can cause us to become unfocused. There is the all too familiar scenario of the TV playing in the background whilst you browse the internet, social sites and Snapchat with someone beside you. Online and social channels have made our lives fast paced. How do we slow down? Often a piece of paper can do this. Paper is tangible. If you get the messages and imagery right, paper can grab the attention of your target audience. Having something to look at, that is not on a screen, can often be a pleasant change. A recent campaign for Neutrogena was implemented in Brazil. 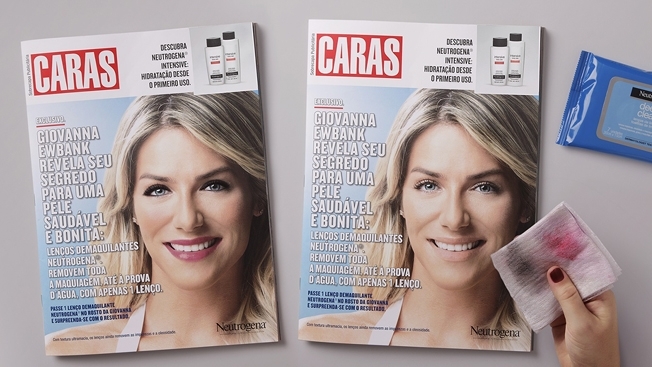 Brazilian magazine CARAS featured the face of a prominent actress and provided a set of Neutrogena Deep Clean wipes with the the issue so readers could rub the makeup off the face of the actress. This created great engagement between the consumer and the brand. Another way paper can grab attention is by adding a smell to the paper. 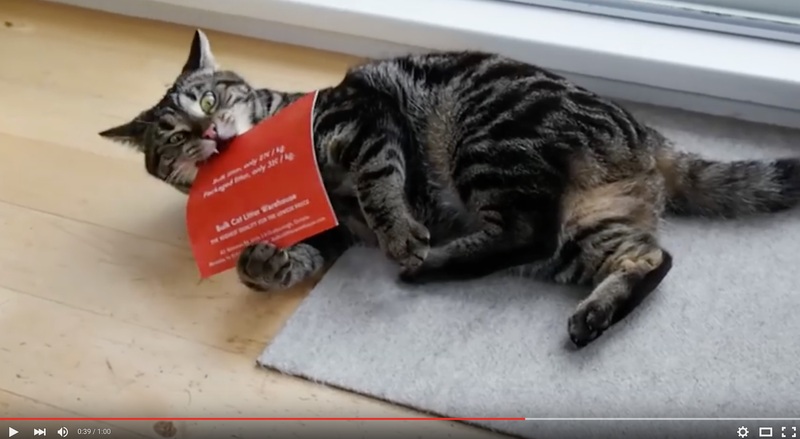 This video illustrates how a Direct Mail piece treated with Catnip targets the household cat. Watch the video. The cats took notice and so did their owners. We can see touch and smell the paper, why not eat it as well? Land Rover recently added more spend to their campaign after its success. The Land Rover is marketed as a vehicle that can take anything a harsh desert throws its way. On the other hand, the people driving the vehicle may not be as strong. Land Rover wanted to take care of people in the vehicle as well so they decided to create a survival guide. Wanting to step it up a notch the advertising agency Y&R decided to make the guide edible putting a whole new meaning to the words 'Survival Book'. More detail on the Edible Survival Guide campaign here. Recent research by Brand Science of over 500 European Case Studies has found that by adding print components to a marketing campaign it increases the ROI of the overall campaign. In the case of FMCG the combination of TV and print components increased the ROI of a campaign by 57 percent. If you want some ideas on how to implement paper into your cross channel campaigns contact us or visit your local Snap Centre.